Many of early Omaha’s wealthy builders built their mansions and estates in North Omaha. One of them was attorney Dexter L. Thomas (1841-1919). His large house at N. 27th Avenue and Nicholas Street was a landmark for years, surely inspiring his contemporaries to use his home as the bar for their own and watching attentively as Omaha rose from the pioneer western frontier to become an urban oasis in the prairies of discontent. This is a history of the Thomas Mansion. This is Dexter L. Thomas (1841-1919) who built a fine mansion in North Omaha in 1870. 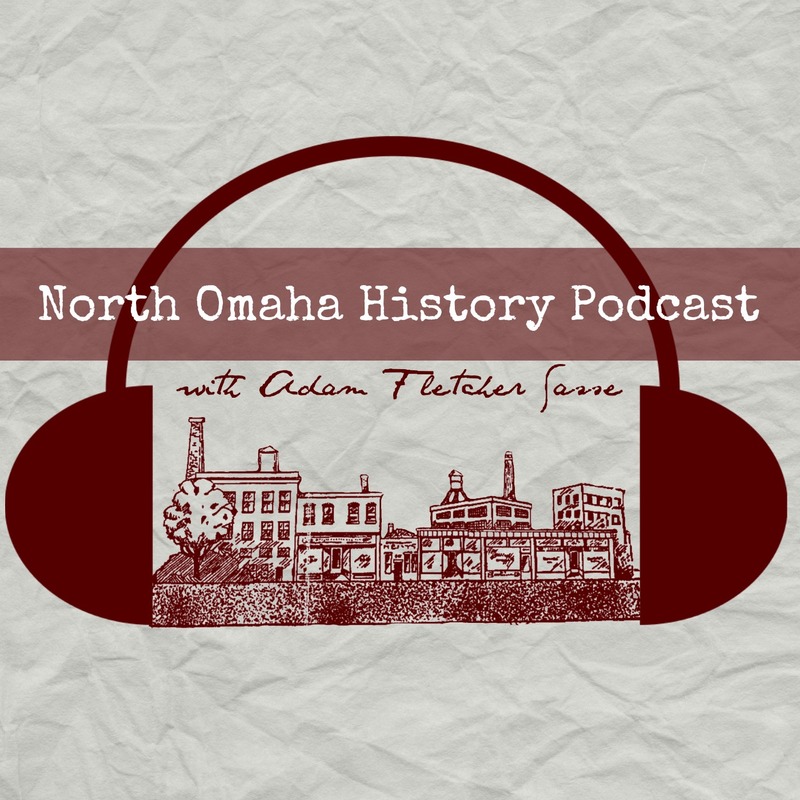 In the 1860s, word was spreading across the Eastern United States that Omaha was a boom town. Within two decades of its founding in 1854, money and settlers poured in from New York, Ohio and Virginia. In 1870, a young businessman named Dexter L. Thomas arrived from Indiana determined to make his stake and build his fortune in the young Omaha City. Thomas began his life in Indiana, and as a young man served during the Civil War from 1862 to 1865. He began in the US Army as a private and left as a captain. After going to Hiram College for three years, he taught high school in Indiana and worked for a county government in Iowa. Between 1869 and 1870, he went to the University of Michigan Law School, and when he graduated he moved to Omaha. Before and while he was in law school, Thomas made a significant amount of money running a store in Michigan. After marrying Frances I. Jefferies, the couple moved to Omaha. Apparently, almost as soon as they arrived the Thomas Mansion was under construction. They had four children; Charles L., Hugh S., Clara Belle and Guy Dexter. Dexter’s son, Charles, became the news editor of the Omaha Bee. Along with his work as an attorney, Thomas was an official of the Nebraska Savings Bank, which was open from 1887 through 1895, and he held a great deal of land around Omaha and beyond. When Thomas died in 1919, he was buried at Forest Lawn. This is the Dexter L. Thomas House in 1909. Once located in the present-day Kellom Heights neighborhood, today there’s no sign of it. By 1900, it was called the “Thomas Castle,” and was renowned for its extravagance, opulence and views. At some point after 1909, Thomas sold his extravagant mansion to a Methodist pastor, the Rev. Charles W. Savidge. Savidge, a notoriously busy minister who started the Peoples’ Church, established the House of Hope at the Dexter Mansion. Thomas moved to 46th and Farnam Streets. It is a real fine house, finely furnished and well adapted for the purpose tor which we want to use it. He bought the house for a reported $10,000. The newspaper said it had 20 rooms in 1911, when a plea was put out to the public for supplies for what was essentially a low-income senior retirement home. In 1916, the House of Hope moved their facility to Florence. After going on the auction block, the house became a private maternity hospital run by Swedes. In 1923, a jury in a court case estimated the house’s value at $5,000. The Thomas Mansion was bought for $3,000 by William Carter in 1927. Carter ran a boarding house there for several years, and then in the 1930s, ran it as a Prohibition-era night club. After years of speculation, there was a massive treasure hunt in the house in 1935. A professional gold hunter was hired by Carter to search the house, looking in every nook and cranny, crevice and closet to find any trace of Captain Thomas’ treasure. They didn’t find anything. In 1944, the Omaha World-Herald ran a featurette about the Thomas Castle, with a society woman proclaiming the home’s history with authority; she was off on a half-dozen facts though. By the 1950s, the house was owned by Elmer Reeves, who ran it as an apartment house. In 1953, the house caught on fire and suffered more than $15,000 damage. The Reeves family was overwhelmed by the amount of generosity and kindness Omahans showed afterwards. Reeves decided the damage was too extensive, and had the house demolished. Today, there’s no sign the Thomas Mansion ever existed.